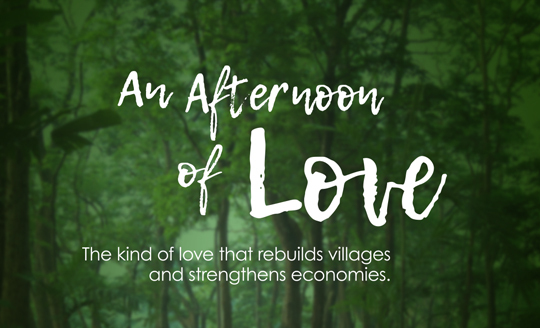 To kick off the year, ABS-CBN Foundation International is partnering with iLove to help develop 8 communities in the Philippines through its Quest for Love campaign. The Quest for Love is a nation-wide search for Loving Organizations seeking to transform marginalized communities into viable localised economic zones, such as successful resource-based agro-forestry, fisheries, or eco-tourism sites and the like. Through the Quest, the Investments in Loving Organizations for Village Economies (ILOVE) Foundation and its partners will provide financial and technical support to eight (8) deserving organizations, with the hopes of promoting wide-spread social and environmental development. For questions about donations you may e-mail Jerry Bennet, AFI Managing Director, at [email protected]. For questions or more information about the iLove eco sites you may visit questforlove.ph or e-mail the iLove team at [email protected].